First time using this flour, the best bread I have ever tasted. Ground my own whole berries. Three day ferment, then added yeast on the third day. Baked 425, 25min, cast iron dish. that was last fed too long ago. Is the three day ferment with a culture? Or a three day soaker? 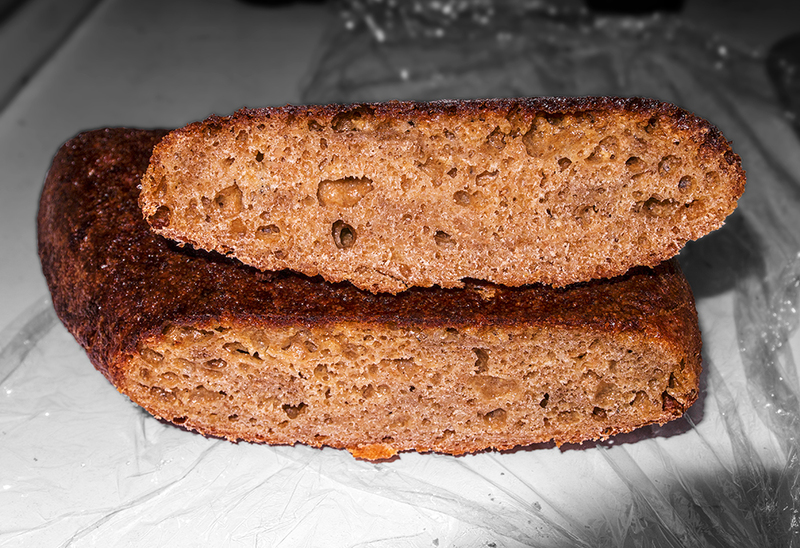 I used Kefir Whey to ferment the flour for three days. 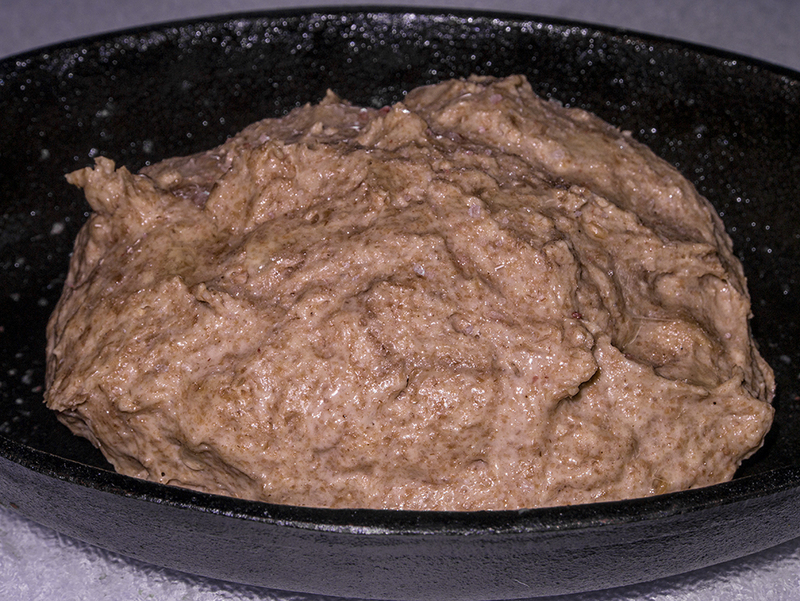 The last day added fleishmans yeast, about four hour rise, was slow to rise. instead of kefir. I have plenty on hand at the moment. 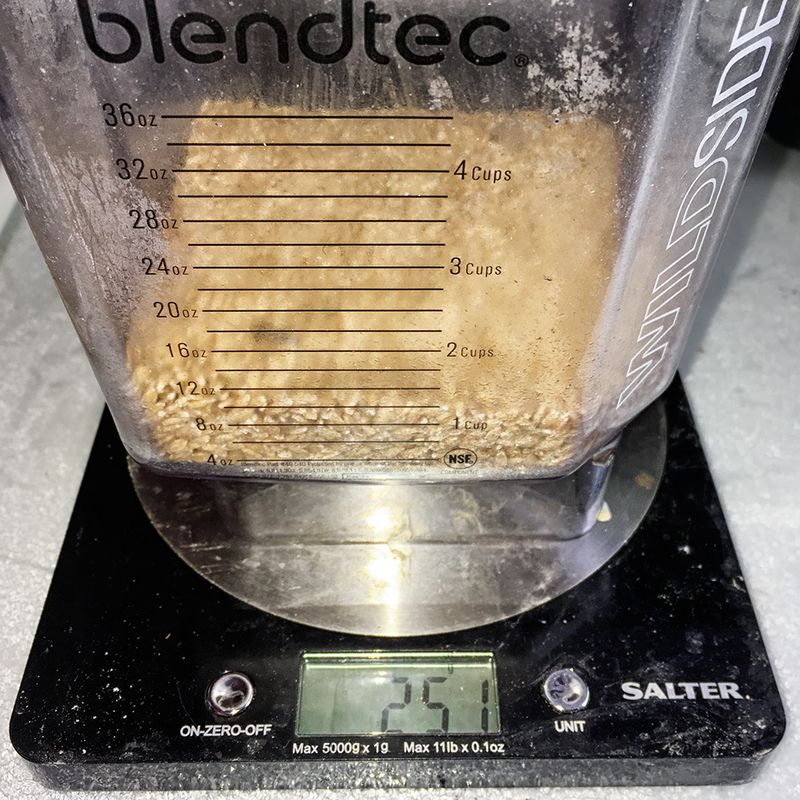 I first mixed up 500g fine whole Einkorn flour (doubling your amount) with 400g cold cultured Buttermilk and came out short so added to make equal weights of both. Looks like one kilo of thick cement, a little stiff but I can push the spatula into the dough easy enough. Covered with plastic and a lid and sitting on the kitchen table to hydrate further. Did your dough get softer and more fluid as the days went by? When did you decide to add salt? I put it in the fridge above the crisper. It stiffens up over the days. I added salt at the beginning. Once I added the yeast I left it on the counter for four hours. Room temp about 22c. Just stirred the dough up a bit to get a feel for it and take in some aroma. Smells good and I think 16°C is a good temp. Think I'll add the salt later after the yeast when more water as needed. 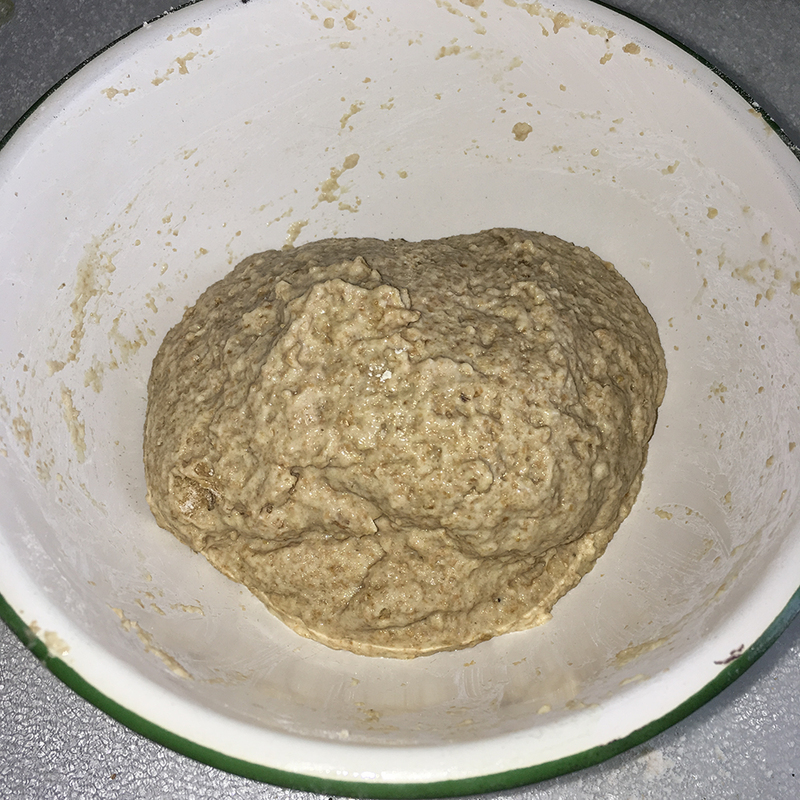 If the dough gets too sour tasting after a long ferment, I might just turn it into a soda bread.using baking soda instead of yeast. 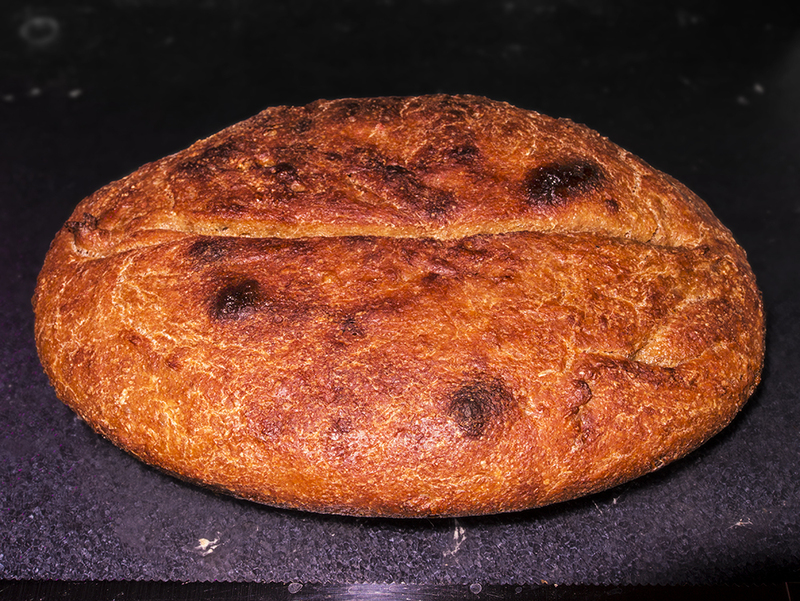 Well done, Einkorn is always a challenge! Are you using 25% Einkorn and 75% Kefir? 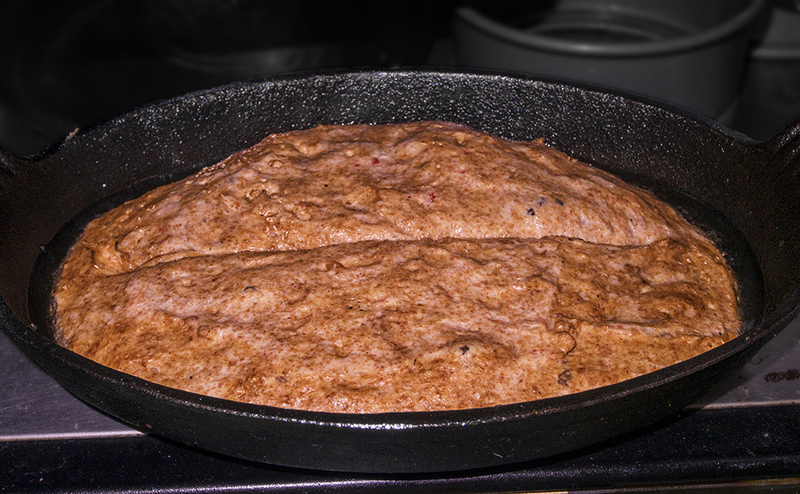 I pour a liberal about of oil in the pan (Olive) that way it climbs as the dough rises. 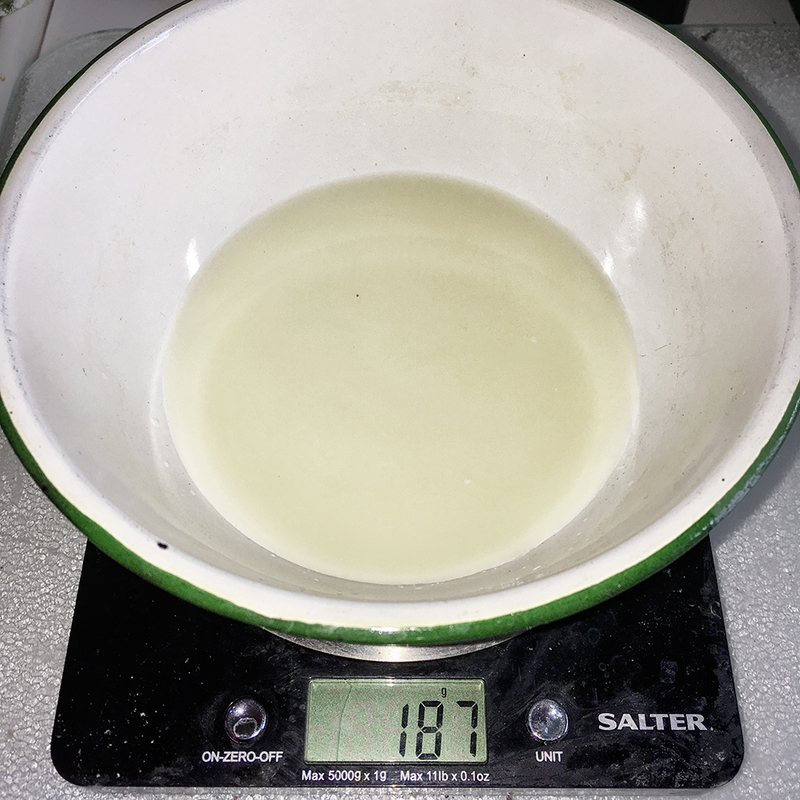 Cast iron mound does not stick, thats what I normally use.